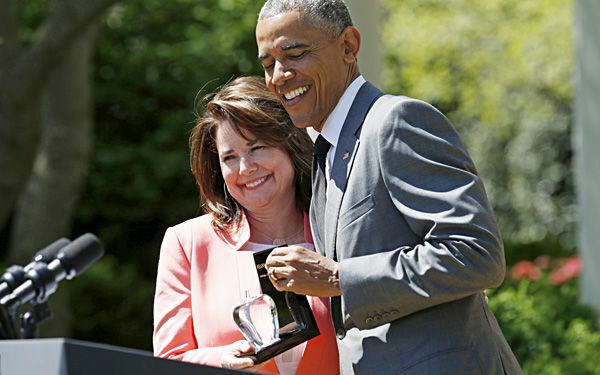 A high school English teacher in Texas has been named the 2015 National Teacher of the Year. She works with students facing poverty and traumas related to their immigration to the United States. 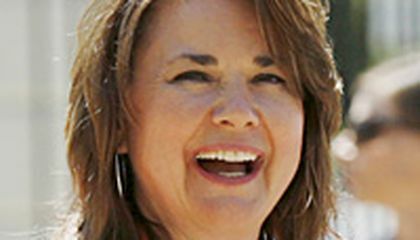 Shanna Peeples is from Amarillo. She was selected for the honor by the Council of Chief State School Officers. She is the first Texas teacher to win the award since 1957. Peeples works at Palo Duro High. About 85 percent of the school's students live below the poverty line. More refugee children are enrolled there than in any other high school in the 31,000-student district. Peeples said that as a child, she was exposed to alcoholism and domestic violence. The experiences provided her with empathy for students from Burma, Somalia, Ethiopia, Iraq and Cuba. Many are survivors of emotional or physical trauma. They come from war-torn homelands. That can make trust difficult, she said. Texas has led the U.S. in refugee resettlements for the last four years. Most are settled in large cities. But immigrant populations also are thriving in more remote areas, including Amarillo. The 50-year-old is the mother of three grown children. When she was young, Peoples' teachers urged her to write to find a way out of her pain and isolation. She began teaching after working as a disc jockey, medical assistant, pet sitter and journalist at the newspaper Amarillo Globe-News. It was there that she covered education. She's taught for 12 years. She has spent the past seven at Palo Duro. One former student knows there are plenty of selfless teachers in Texas and across the country. But Peeples has something intangible, said Viet Tran. He is a college junior. He believes he wouldn't be at Harvard studying neurobiology on a scholarship without Peeples' help. "She is able to bridge a very wide gap of both student achievement and student experience," said the 21-year-old junior. He came to the U.S. in 1998 from Vietnam. "She teaches kids who have never been in a classroom before and students who want to go to Ivy League schools." On occasion, she has spoken with refugee parents who wanted their children to get jobs. They wanted the children to contribute financially to the family, rather than attend school. Peeples is a "brilliant" teacher. She is animated and captivating, Palo Duro principal Sandy Whitlow said. Peeples was selected from among four finalists named in January. The other three teachers hail from Alabama, Hawaii and Indiana. Peeples will spend a year traveling the nation. She will represent educators and advocate on behalf of teachers. Well she must have done a pretty good job to get the teacher of the year award because she had learned from when a kid to expose from alcoholism and domestic violence because some kids do want to these stuff because they think hen they do it they look all cool and a bad boy. I want to get taught by her because if she is the teacher of the year than she should be a beast at teaching. I think that naming a "Teacher of the Year" helps education because it will make teachers work harder to make sure that their students do well so they have the chance to be named "Teacher of the Year" that year. Wow that is amazing though but I think my teacher Helen teacher should be voted the best teacher. I think it like this because she cares, plays, cooks delicous food for us, and teach very well. But anyway I think that it is very cool to get teacher of the year because then student then might be asking her can I be your student also other teachers might ask how to become the teacher of the year.